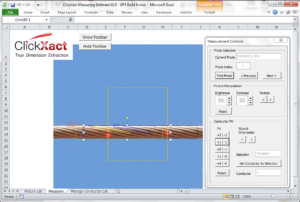 The ClickXact system was specifically designed for measuring electrical overhead line conductors and excels at the task. The ClickXact system is fairly light weight and compact, making it easy to set up and use in the field under almost all terrain challenges. The system is set up under the overhead line, and a picture of the conductor is taken with the laser device activated. The photographs are then analysed within custom developed software matching the conductor to a library of standard conductors to make a positive identification. The analysed photograph results are then stored, and can be prepared for import into the data systems used by the Utility. The photographs can be GEO-tagged using the functions of the camera, usually combined with a smartphone. 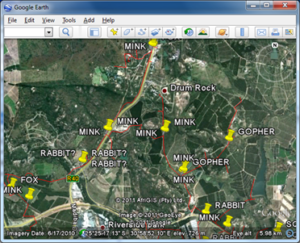 The results can be exported to a Google Earth file format enabling the display of the results in Google Earth. No contact with overhead conductors or tubes is required. This provides for a safe, non intrusive method. The Picture can be stored for future reference. Easy uploading of identified sizes into the data systems can be facilitated. Can be used for all voltage levels. Can be used for almost all conductor sizes. The ClickXact system cannot be used to determine the difference between conductor sizes that are very close in size. This is typically the case between ACSR and AAAC or AAC conductors, e.g. Hare and Oak. As the electrical properties are very close, the impact might be very small. 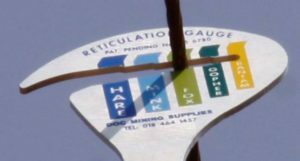 Also, business rules can be applied to distinguish between uses in different areas for example use Hare inland and use Oak for coastal lines.